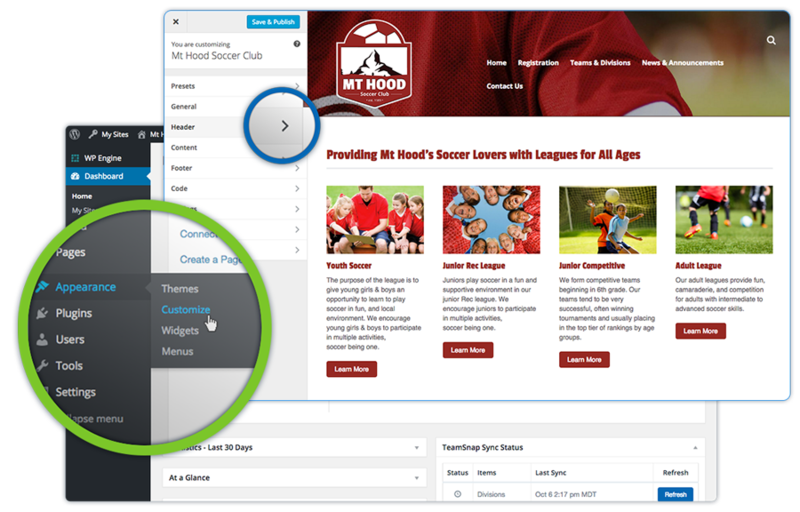 To customize your site, navigate to the Customize section under Appearance. This will take you to a preview of your home page with different customizer sections along the left side. From here you may edit the site header, footer, main content area, change fonts, font sizes, colors, etc. Many of these options will effect the modules you add to pages, but won’t override settings within those modules if they’ve been set.